Made from purple clay with an opaque black varnish. 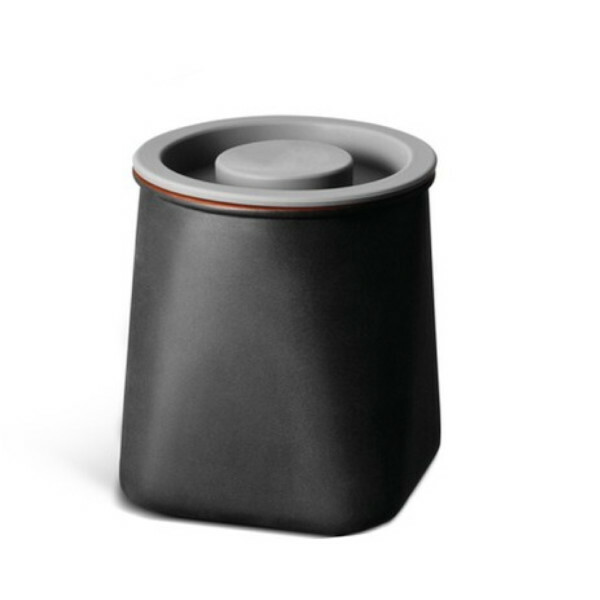 Uses terra cotta to absorb humidity and keeps spices, cereals and other goods dry. Includes a silicone lid to keep the canister airtight. JIA Inc. Transit Series, Dual Vase, 12.8"